LH-120P Fits Lenses: Broadcast 16:9 with 120mm O.D. ; Cavision BWC07X86; Century: WA-8XCV, WA7X93; (*note: does NOT work with ARP12 adapter rings). 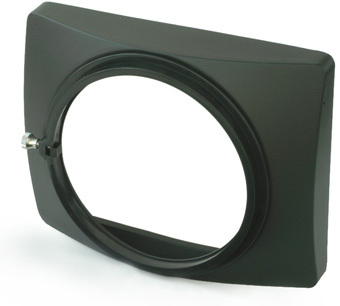 LH-120P-E fits lenses*: Only Cavision LWA07X86, LWA07X86B-EX1 & LWA07X86B-HVX200; (also works with ARP12 adapter rings).